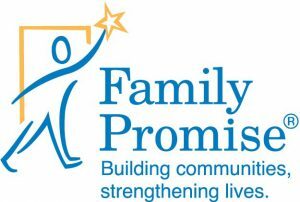 The mission of Family Promise of Greater Orlando is to provide shelter and supportive services to assist homeless families in achieving sustainable housing as quickly as possible. 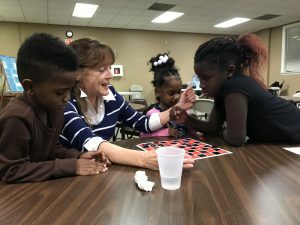 Four times a year, First Church Oviedo opens their doors and converts their classrooms and meeting rooms into bedrooms where up to four homeless families stay for one week. Volunteers provide meals, compassionate support and activities for children, and we make the families feel welcomed and loved. Pray for a family participating in Family Promise. Write letters of encouragement and welcome cards to be given to each family member when they arrive. PROVIDE LUGGAGE FOR A FAMILY. Most of our guests do not have a way to transport their belongings. Many times they have one garbage bag for their entire family. We would like to bless the families with rolling luggage and backpacks for the children. VOLUNTEER TO BE AN OVERNIGHT HOST. We have many volunteer opportunities when our Family Promise guests are with us. Currently, our biggest need is for Overnight Hosts. The Overnight Hosts arrive at 8:15 PM, spend the night in a private room on the church’s campus, lay out breakfast in the morning for the guests (no cooking involved), make coffee, clean up after the guests depart, and leave around 8:00 AM. You can sign up for one night or more than one night. Couples are encouraged to sign up together. Our next opportunity to serve is in Sunday, November 25th — Sunday, December 2nd (Thanksgiving week). Click the button below to sign up!